For the inquisitive college bound student with high performance in chemistry, biology, and math — pharmacy and pharmaceutical science can be a very rewarding career. There is a great demand for pharmacists because national drugstore chains such as CVS and Walgreens are building more stores in local communities. Secondly, there has been an increase in the elderly population, which results in higher demand for prescription medications. To practice as a licensed pharmacist, you will need to pass state exams and earn a Doctor of Pharmacy degree, also known as the PharmD. Pharmacy is a unique career choice because of the variety of specialized fields. At The University of Buffalo School of Pharmacy and Pharmaceutical Sciences students choose between a pharmacy and a pharmaceutical science concentration. “Typically, the PharmD degree prepares students to be a licensed pharmacist in community or clinical settings,” says assistant dean and director of admissions Jennifer Hess. “They can also work in research fields, industry, government or seek residencies for post graduate training.” Upon graduation, students can choose to work with the general public or a special population such as newborns, geriatrics, or even animals! Pharmaceutical science majors generally work in industry fields for companies, such as Bausch and Lomb or Johnson and Johnson as researchers and drug developers. You should consider a pharmaceutical science major if you like to work hands on in a lab setting, while the pharmacy degree is suited for those who want to work directly with the community. UB also offers combined degree programs where students can combine their pharmacy degree with programs in business, law and other health and science fields. “We were one of the first universities to offer combined degree programs, and we share inter-professional experiences with students at the medical, dental, nursing and public healthcare schools as well,” says Hess. In order to enter a pharmacy program, students must complete two to four years of college prior to acceptance. At that point, they will take The Pharmacy College Admission Test (PCAT). This standardized test assesses the student’s ability to excel in pharmacy school by testing problem solving, math, science, English and comprehension skills. Upon completing the exam, the student will seek acceptance to a four-year pharmacy program. After graduating with a doctor of pharmacy, they must pass three exams to become a licensed pharmacist in New York state. However, you can opt out of the PCAT exam by applying early assurance. Top NYS schools such as the Wegmans School of Pharmacy at St. John Fisher College offer early assurance programs to high school students entering college. Students are guaranteed admission into the pharmacy program after two to three years of pre-requisite coursework and maintaining a certain GPA. After completing one year of pharmacy school, you can obtain a permit to work as a pharmacy intern. “You can do anything the pharmacist does under their supervision,” says Liana. “All pharmacy schools require introductory practice experience for accreditation,” says Hess. “This includes 50 hours in the first year, 100 in the second, 150 in the third, and the final year is totally experiential.” Completing these hours of practice experience in a variety of settings can help students determine the setting in which they will work. “We train our students to be the best pharmacists they can be in whatever path they choose,” says Hess. 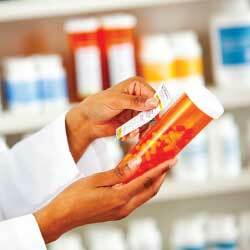 The median annual salary for pharmacists was $118,470, according to the Bureau of Labor Statistics. You should consider a career in pharmacy if you are detail oriented, organized, interested in the science of drugs and how they affect the body and willing to think outside the box.